Last week I wrote that I thought we could get away with a few more weeks of warm weather, and I wore the summer dress to prove it. But sixty-degree temperatures this week are proving me wrong - and they made the second part of this post on transitioning a summer dress to fall even more timely! The key? Layering over your summer dress. 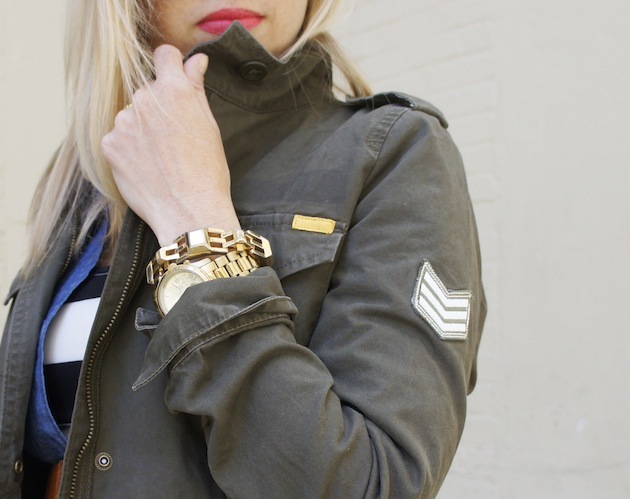 For my layers, I chose two easy, on-trend pieces for fall: a chambray shirt and an army jacket. My friend LeiAnn and I joke about the fashion term "pre-fall", and how we basically see it as adding tights and a sweater to your summer dress (like this, this). What are your favorite tricks for transitioning your summer clothes to cooler weather? Check out more must-have's for fall here! STRIPED DRESS, CHAMBRAY SHIRT & ARMY JACKET: Old Navy c/o Middlesex Commons BOOTS: DSW c/o Middlesex Commons (similar here, here, here) BELT: Pinkyotto WATCH: Michael Kors BRACELET: Stella & Dot SUNGLASSES: Gucci, Special thanks to Middlesex Commons for providing the clothes for this post! So perfect! 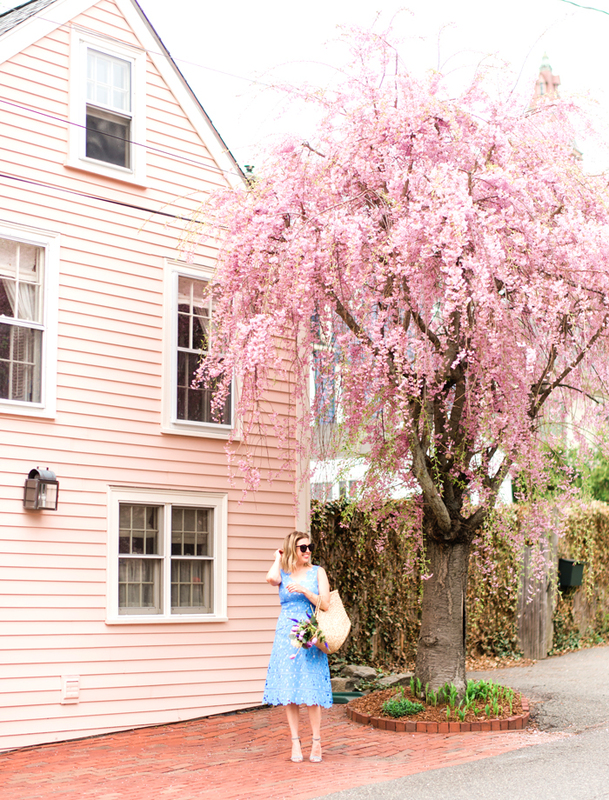 I never thought of layering my chambray on top of a dress, but I totally am giving it a shot! Hey, "boyfriend" styles are all the rage! I love how you layered the chambray over a dress! I did that today with a top! Love how you added the army jacket too but you still look like you're ready for fall when the jacket comes off! Stripes are super in this fall, good call there with the summer dress. I can't believe fall is among us again and we are talking layers! I love that the chambray plays such a subtle role in this outfit.